When a chocolate cake fix is needed but seems out of reach (or inappropriate), this personally portioned cake fits the moment. 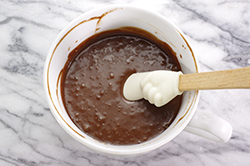 The batter is mixed quickly right in a large cup or mug (no dishes!) and cooks in the microwave in a few quick minutes – immediate gratification! It’s especially decadent when this cake is enjoyed while it’s still warm with a small scoop of your favorite vanilla ice cream. The only worry might be that this indulgence is just a little too convenient! 1. In a large cup or mug (a 16 oz. 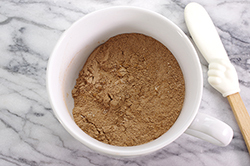 latte cup is ideal) mix the dry ingredients (flour, cocoa powder, baking powder, sugar, and salt). 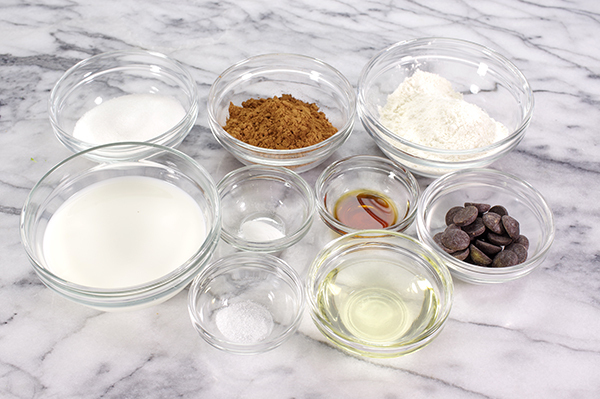 Whisk until all the ingredients are evenly distributed. 2. Pour the milk, oil, and vanilla over the dry ingredients and stir well. The batter should be lump-free. Scrape down the sides, and sprinkle the chocolate chips on top. 3. Place the cup in the microwave oven on high for 75 seconds. 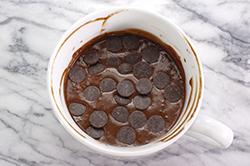 Allow the cake to sit in the microwave (without opening the door) for an additional two minutes. The cake will be very hot; allow to cool for a minute or two. 4. Top with a small scoop of vanilla ice cream. 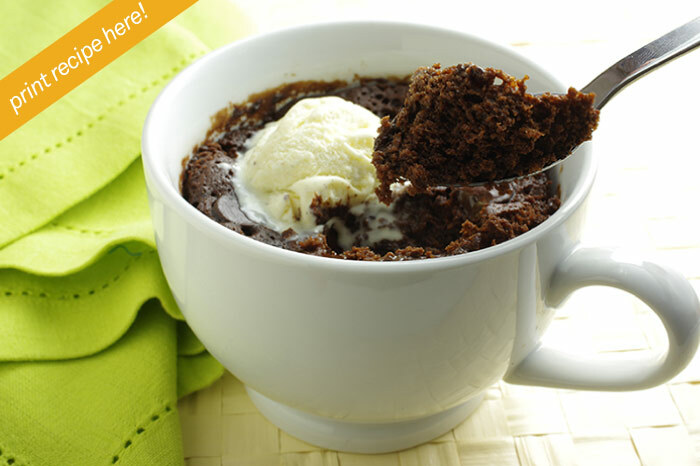 Enjoy while all warm and the chocolate all melty.